The customer experience is important to businesses in all industries. It very much is the business for retail industries. Facing a plethora of similar competitors that sell similar products at similar price points, retailers are particularly reliant on the experience to establish their brand identity, attract customers and differentiate from competitors. While dealing with those high stakes, retailers also have to consider unique marketplace transformations – including the rise of e-commerce and the demand for omnichannel engagement. 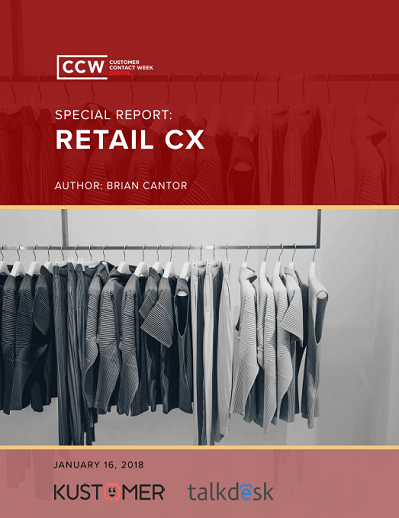 Retail thus provides the perfect backdrop for exploring the state of the customer experience. That is exactly what our Special Report on the Retail Customer Experience does!